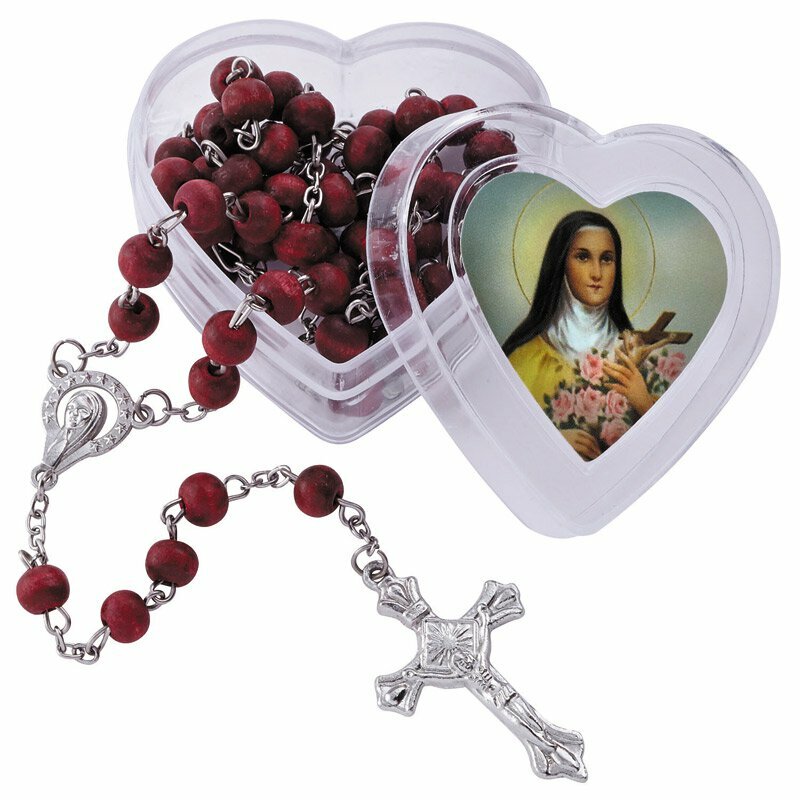 This rosary comes with rose scented wood beads, a Madonna centerpiece and a traditionally styled crucifix. Each piece then comes beautifully packaged in a two-piece heart shaped box with devotional image of St. Therese. These make great gifts for birthdays, feast days or any time a special gift is needed.